The average price for this game in the past 6 months is $10.94. The game first became 50% off on Feb 16, 2018 at Fanatical. Lowest historic price was $9.36 on Nov 21, 2018 at Green Man Gaming. If you enjoy the Dungeons strategy management simulation series, Fanatical's Flash Sale on Dungeons 3 beats out Steam Store's Lunar Sale by some some good percentages as the same Steam key is $20 at Steam Store while Fanatical has the game for $16.55. Releasing Friday, Dungeons 3 continues the series for fans who enjoy playing the villain once in awhile. The simulation strategy fantasy management game is 15% off across all major retailers (including Steam Store). Pre-order bonus includes the Horde Throne Room Skin + digital soundtrack. The average price for this game in the past 6 months is $2.34. The game first became 50% off on Dec 19, 2016 at Green Man Gaming. Lowest historic price was $1.54 on Sep 28, 2018 at Green Man Gaming. The average price for this game in the past 6 months is $11.99. The game first became 50% off on Jun 23, 2018 at PlayStation Store. 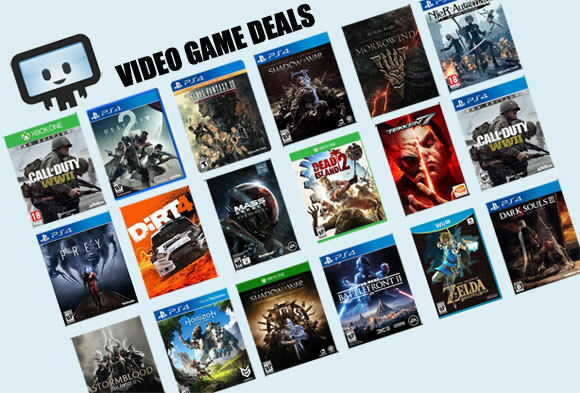 Lowest historic price was $11.99 on Dec 19, 2018 at GameFly. The average price for this game in the past 6 months is $4.99. The game first became 50% off on Aug 25, 2014 at GameFly. Lowest historic price was $3.08 on Sep 28, 2018 at Green Man Gaming. The average price for this game in the past 6 months is $4.79. The game first became 50% off on Jun 17, 2015 at Steam Store. Lowest historic price was $2.70 on Sep 23, 2018 at Razer Store. Probably the best freebie deal today is a free Steam copy of Dungeons 2 from Humble Store. Considering the last time we spot this game was at $7 - you really can't go wrong with the price tag of free. Reviews are generally favorable, particularly for fans of fantasy RPG/strategy games. New low on the Dungeons 2. Today it showed up for $10 at Amazon. That's the best price ever and 75% cheaper than the usual $40 list price. The April released strategy title Dungeons 2 dropped to only $15.40 after coupon today at GMG. Lowest price ever by about $5 and 61% off the usual $40 list price. Mostly positive but somewhat mixed reviews at Metacritic with a 70/100 critic score with a slightly more favorable 7.5/10 user score. Dungeons 2 returns to historic low at GOG for the DRM-free version. Ties its lowest price ever - perfect if you missed the same deal from Steam's Summer Sale in June. The average price for this game since released is $8.76. The game first became 50% off on Feb 6, 2012 at Amazon. Lowest historic price was $1.08 on Aug 13, 2018 at Razer Store. The average price for this game since released is $2.19. The game first became 50% off on Aug 23, 2014 at GOG.com. Lowest historic price was $1.49 on May 8, 2017 at GOG.com. Dungeon Keeper is $0.00 this month at Origin. Free for life but only for a limited time. Get your free copy of Dungeon Keeper Gold courtesy of GOG and EA. Nope. Not the 2014 Dungeon Keeper. The 1997 one. Yep. The one we all actually enjoy. While we're at it, Dungeon Keeper 2 is also on sale for 75% off at a buck fifty. Good stuff. The average price for this game since released is $7.28. The game first became 50% off on Feb 6, 2012 at Amazon. Lowest historic price was $2.24 on Jan 6, 2016 at GamersGate.